Types of residences available in Korea are serviced residence, apartment, one-room studio, multi-family residence, hanok (Korean traditional house), etc. Serviced residences are furnished apartment buildings for both short- and long-term visitors to Seoul. These units are usually two to three times bigger than your average hotel room and usually include a kitchen. Hotel-like services are provided, which include a front desk, a business center and a community area. Visitors may prefer a serviced residence as opposed to a hotel because of their affordability. 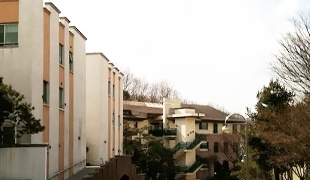 Apartments are the most popular housing option among Koreans. They are preferred by most locals mostly due to their convenience. Nearly all apartment complexes have facilities nearby such as supermarkets, district offices, post offices, and schools, as well as easy access to public transport. Basic utilities like water, gas and heating are well established. The units are somewhat smaller than what one might be accustomed to abroad. Since the units are tightly packed into each complex, there can be a lack of privacy. Looking for a parking space after work can also be a challenge, as most complexes do not allocate parking spaces to each unit. Officetel (office + hotel) refers to a residence-like office space. Some Koreans use them as residences. Most of them are located in easily accessible places. They are equipped with furniture and convenience facilities. The tenant’s privacy is protected. A one-room studio is a smaller version of an officetel. One-room studios offer lower monthly rents than officetels. There are many one-room studios near a university. Detached house is built for one family on detached housing site. In detached houses, the privacy of a family is well protected.You can set up a residential plan the way you like. You can have your own garden. They are smaller versions of apartments. A multiplex house is in a building no higher than four-stories. number of families can reside in separate residential space in a building, and each household can own and sell the suit separately. 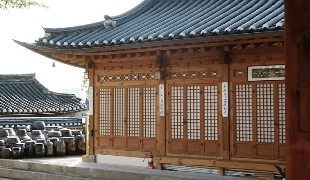 A hanok is traditional Korean house. Ondol, a system of heated floors, keeps the house warm during the cold winter months, while the wide front porch keeps it cool during the scorching, hot summer months. The hanok is a type of residence unique to Korea that was developed to meet the needs associated with the frigid cold of winter and the scorching heat of summer. It is interesting to note that many remodeled traditional houses are appearing in the city. These remodeled homes have various modern amenities to go along with the beauty of their traditional design.